Gov. Deal's recommend budgets for Amended FY 17 and FY 18 were officially released this week. The broad numbers contained in the proposed FY 2017 Amended Budget include a revised revenue estimate, with a total of $24.5 billion increasing overall revenues by $606.2 million with an overall proposed amended budget for FY 2017 of $21 billion. The overall FY 2018 revenue estimate is $25 billion with a proposed FY 18 Budget of $21.5 billion. ACCG has provided a detailed breakdown of the various state agency budget items with implications to counties. That information can be accessed here: Overview of FY AMENDED 2017 and FY 2018 Governor's Recommended Budgets. County officials are encouraged to review these budget items and to inform their legislators of any concerns. Access the Legislative Tracking Database for a compilation of all bills ACCG is following this session. For more than 40 years, Georgia’s patchwork of 9-1-1 systems has struggled to meet the needs of the public in emergencies and at times has been woefully inadequate in keeping up with current technologies. Next Generation 9-1-1 (NG911) implementation and federal mandates are fast approaching and Georgia currently has no centralized coordination, policy-making, planning, oversight of providers, data collection, standard training or protocols. Statewide coordination is critical to successfully implement this lifesaving technology which will be best achieved through passing legislation this year to establish a Local Government 9-1-1 Authority. This authority would provide desperately lacking statewide 9-1-1 coordination to overcome the challenges in funding, technology, operations and education. 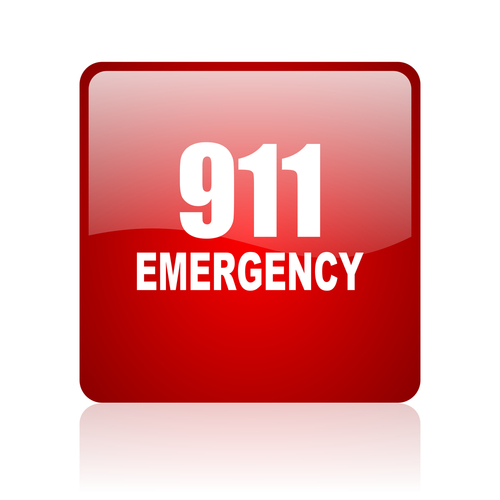 ACCG believes establishment of the 9-1-1 Authority, along with the proposed 9-1-1 fee parity and elimination of cost recovery, will increase funding for 9-1-1 centers to meet the challenges of NG911. Click here for additional information. Any questions or concerns regarding this issue may be directed to ACCG Associate Legislative Director Debra Nesbit at dnesbit@accg.org. Since the Title Ad Valorem Tax (TAVT) was implemented in 2013 to replace ad valorem taxes and sales taxes on the purchase of motor vehicles, most local governments have experienced an overall decrease in vehicle tax revenues while the state has experienced a significant increase. Click here for an illustration. The state’s target for this year was $535,428,000. It received $1,039,613,621.56 in taxes on motor vehicles for a total of $504,185,621.56 over the state target. The local target was $1,080,000,000. Local governments received $998,527,890.26 in taxes on motor vehicles for a total of $81,472,109.74 under their specified target. ACCG is working on legislation that would increase the local share of TAVT revenues and simplify the overall TAVT formula. The association will provide updates as this important issue progresses. Any questions or concerns regarding this issue may be directed to ACCG Deputy General Counsel Larry Ramsey at lramsey@accg.org. 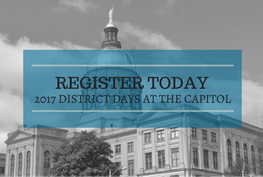 The 2017 District Days at the Capitol are quickly approaching! This year's District Days will allow county commissioners and county staff from all across Georgia to explore topics such as broadband access, E-911 funding, and tax reform. County officials are encouraged to attend one of three scheduled District Days - February 22, March 1, or March 2 - to get fully engaged in the legislative process and to let the collective voice of county government be heard. The first District Day is a little over one month away, so contact your county clerk to register for the day that best fits your schedule. 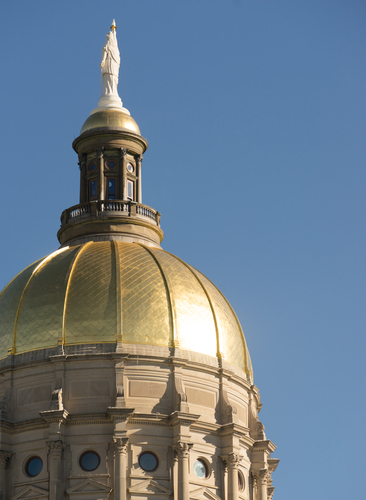 Furthermore, ACCG is hosting the first-ever Newly Elected Commissioners Day at the Capitol for Georgia's newest county elected officials on February 9. New county commissioners will receive an introduction to the legislative process along with significant information from the ACCG policy staff. Don't miss these dynamic opportunities that connect Georgia's county leaders with their state counterparts. Don't miss your opportunity to do your part to advance Georgia's counties! More information is available on the ACCG website. ACCG will host its first-ever Legislative Roundtable via Facebook Live on Friday, January 27 at 8:30 a.m. The Legislative Roundtable is an interactive session providing counties with updates on pressing issues and will be led by the ACCG policy staff. Counties are strongly encouraged to use this as an opportunity to ask questions about developing legislation with potential impacts on local governments. Some topics of discussion slated for the inaugural broadcast include E-9-1-1 funding, the FAST Act (SB 2), and TAVT Reform. 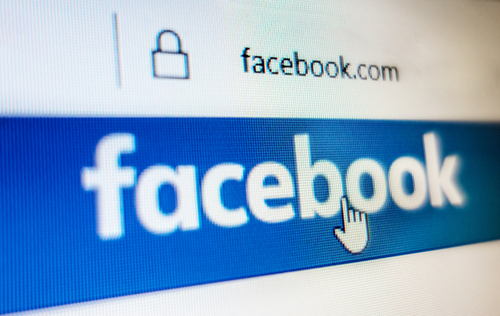 Be sure to friend ACCG on Facebook by searching ACCG, Georgia Counties, so that you can tune in! We look forward to you joining the conversation! if you are interested in attending. ACCG is YOUR county association here to advance all Georgia county governments. Please feel free to let us know when you're visiting the State Capitol this session, and a member of the policy team will gladly assist you as needed. Don't forget to use your 2017 Legislative Toolkit when conversing with your state legislators!